Two new bus ads sponsored by Lady Freethinker urge residents of Gimpo, South Korea to keep dogs off their plates and treat them like family, instead. There are an estimated 17,000 dog meat farms throughout South Korea, with some two million dogs slaughtered for human consumption each year. This is the only country in the world with large, factory-style dog farms, where the animals are housed in filthy conditions without adequate food, water or veterinary care. At slaughter, the dogs may be hung, torched alive, or electrocuted because some people believe the meat tastes better after torture. 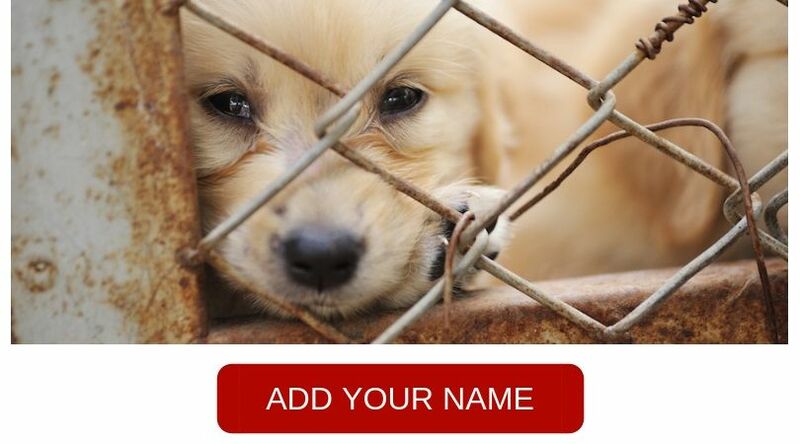 At Lady Freethinker, helping end the cruel dog and cat meat trade is a top priority. Millions of readers are exposed to the appalling reality of this issue through LFT articles. Additionally, we’ve garnered hundreds of thousands petition signatures calling on government officials to outlaw dog meat. LFT also helps shelters that rescue dogs from the meat trade by providing funds for food, medical care, and other urgent needs. The good news is that dog meat consumption in South Korea is declining in popularity, and animal lovers are increasingly advocating against it. Last November, the country’s biggest slaughterhouse closed, adding to an ever-expanding list of meat farms and killing facilities that have gone out of business. LFT will keep campaigning until dog and cat meat are things of the past. Yes, protect animals & stop cruelty! What a sick demented country s. Korea must be. This cruelty is a direct glimpse into the depraved citizens that would allow this deragement. The world is watching you, you sick f…s. your country has some real bad karma. However I do commend the wonderful s. Koreans who are fighting against this sheer horror. Thank you so much for your courage. Great Ideal ! Save the dogs, thank you for helping the dogs. Shame on the people who do not care. Good. Well done. Let’s hope it hits the mark. Thanku LFT and Mark Matyazic. Kein Tier soll leiden. Das haben sie nicht verdient. you know… they do that to cats, too… if you are going to care about animals, you should care about all animals. cats suffer just as much. they hurt just as much.